Active Materials | Applied Diamond, Inc. The demands for higher power and frequency have pushed the development of new materials as substrates for microelectronic devices. Using advanced materials, like diamond with its unsurpassed thermal conductivity, as heat spreaders to lower device junction temperatures has helped increase the limits of device performance. The ultimate way to push the performance of a device, however, is to use diamond as the semiconductor material itself. Diamond surpasses other semiconductor materials by far, no matter which Figure of Merit you choose. With a breakdown voltage of 10MV/cm, diamond is an electrical insulator with truly unique charge transport properties. 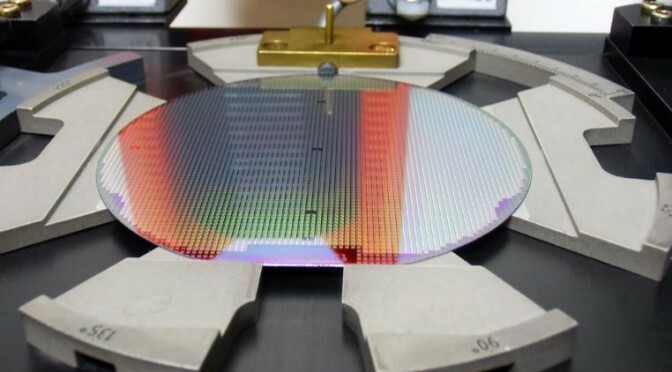 The incorporation of GaAs, GaN and SiC devices into everyday use may still be accelerating but research into their replacement, diamond, is already underway. New advances in p- and n-type doping and novel device architectures will take RF and power electronics to the next level of performance.